ANOKA, Minnesota - From the No. 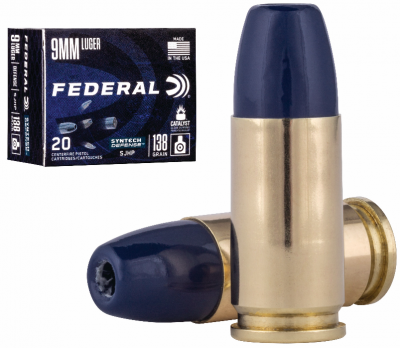 1 Brand in Handgun Ammunition, Federal is proud to introduce new Syntech Defense. These loads produce dynamic terminal performance with a hollow-point bullet that separates into three segments and a deep-penetrating core on impact. Shipments of Syntech Defense ammunition have been delivered to dealers.